His late mother’s spirit appears in silence. Can he honor his promise to keep the family together? No social safety nets in Mor’s Senegal village, just fishing nets, small boats, and the gang of bullies who ran away from home and threaten to steal any food he is given or money the 11-year-old can earn for his sisters’ schooling. To meet Mor and his sisters just after their father’s burial, read chapter 1 on the publisher’s website free. Look for this as 2017 hardcover or June 2018 paperback at your local library or independent bookstore. When resources are scarce, how can you be resourceful? Book info: One Shadow on the Wall / Leah Henderson. Atheneum Books for Young Readers, 2017 hardcover, 2018 paperback. [author site] [publisher site] Review copy and cover image courtesy of the publisher. My book talk: Guided by his parents’ spirits, eleven-year-old Mor strives to keep his family together, braving bullies, the sea’s perils, and well-meaning neighbors in their Senegalese fishing village – will it be enough? So little food left when they are orphaned – how to feed his sisters? Men also seek work – who will hire a young boy? His brilliant sister’s school fees are due – can he stop the bully gang from stealing what he can earn? When his former best friend tells Mor that joining the gang is the only way to keep his sisters safe, he must make a hard choice and live with its consequences. T is The Last Tree, by Denise Getson – final hope for desert Earth? Able to make water where there is none! Generations after the Devastation of chemical and biological weapons nearly wiped out life on Earth, mutations may be nature’s way of keeping humanity around, perhaps to save the very last tree in the whole world, hidden where the Tigris and Euphrates Rivers once flowed. Look for the first book in the series, Dry Souls (my no-spoiler review here), to visit Kira’s world as she first discovers her affinity for water in this parched future Earth. How far would you go for friendship? Book info: The Last Tree (Dry Souls, book 2) / Denise Getson. CBAY Books, 2016. [author’s Facebook] [publisher site] Review copy and cover image courtesy of the publisher. My book talk: Kira isn’t sure how she can call water through solid rock into places where it once flowed, but the United Territory Council government will stop at nothing to capture her and find out how she can bring forth water when all land is desert. The teen must stay free so she, Tuck, and J.D. can rescue friend Tamara and continue their stealthy mission to get Kira near old lakebeds to call their waters back. When she is asked to help a special tree, how can Kira say no? Is this last tree in the entire world truly the Tree of Knowledge? But how can she keep her family of friends safe from the UTC? Kira’s adventures in the dry and toxic world introduced in Dry Souls, book one of the series, continue as she jumps across the world from danger into world-altering risks. Run, so you don’t get caught. Leave home, because staying is deadly. Olympic dreams in a war-torn land. Samia ran for joy when a child, ran for her country in the Olympics, fled Somalia knowing the dangers of “the journey” seeking a better life as her sister had. A fictionalized account of the real young woman who was part of Somalia’s 2-person team at the 2008 Olympics in Beijing, happy US book birthday to this strong story of hope and determination, released earlier this year in the UK as Little Warrior ! Could you leave your family behind, for freedom? Book info: Don’t Tell Me You’re Afraid / Guiseppe Catozzella; translated by Anne Milano Appel. Penguin Press, 2016. [author site – in Italian] [translator website] [publisher site] Review copy and cover image courtesy of the publisher. 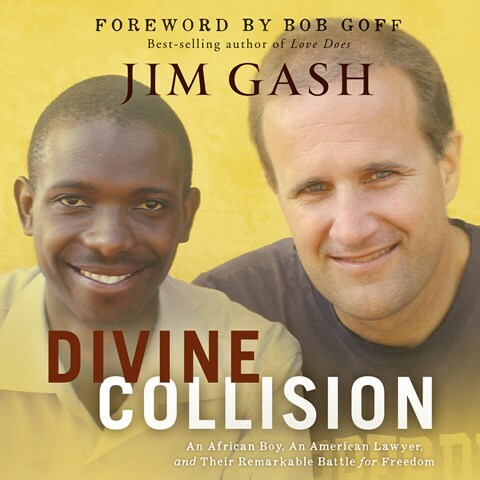 My book talk: In the war-torn streets of Mogadishu, Samia loses her childhood friend and running coach to extremist gangs, perseveres as a athlete dreaming of running in the Olympics, and keeps traveling toward freedom, regardless of the dangers. From the age of 10, Samia ran with the 2008 Olympics as her goal, inspired by refugee and world-class runner Mo Farah, coached by her best friend Ali, winning race after race in their Somalian city. As rival militias recruited all young men into their religious factions, Ali left Samia’s neighborhood. Still she ran, gaining the attention of Somalia’s small Olympic Committee and earning a spot at the 2008 Beijing Games as a teen. How proud she was to represent her homeland! But militia fighters wouldn’t let her practice when she returned to Mogadishu. 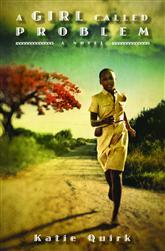 Based on the true story of Samia Yusuf Omar, who grew up with constant war as an “older sister” and ran anyway. 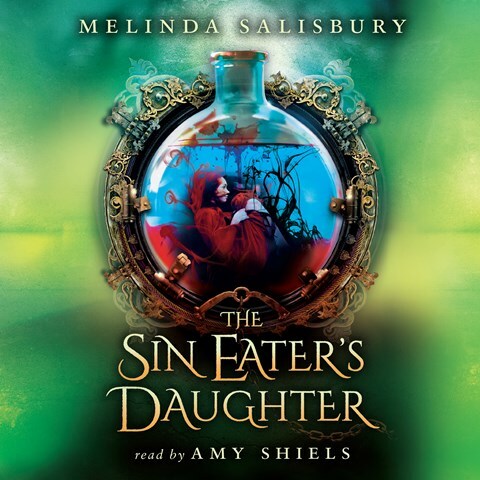 Be sure to download these complete audiobooks before Wednesday (27 July 2016) night, so that you can listen to them any time, as long as they’re stored on your computer or electronic device. Click on the link after each title to go to the AudioSYNC site for your free download. From Mandela’s 1964 trial to conversations during his life sentence in prison to his inauguration as President of South Africa in 1994, interviews, music, and radio broadcasts are woven into a stunning narrative of this lifelong crusader against apartheid. Onkonkwo is becoming a most respected man in his African village, erasing the shame of his father, but incoming Christian missionaries cause conflicts with tradition, threatening his family, neighbors, and happiness. These stories of struggle and justice – how do you respond? Monster in the Mudball, by S.P. Gates (book review) – ancient hunger, on the loose! Every time ancient Zilombo is reborn, the monster from deep in an African lake has new and frightening powers that help her hunt – this time in England! Try out three chapters for free here and you’ll be hooked as Jin, Frankie, and Mizz Z go after The Monster in the Mudball along the Oozeburn River’s littered shores. Do you hear the shivery jangle of a bottle cap anklet… or is it just me? 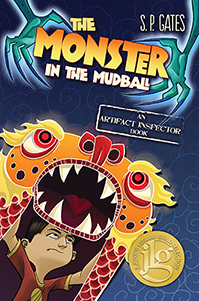 Book info: Monster in the Mudball (An Artifact Inspector Book) / S. P. Gates. Tu Books, 2013. [author biography] [publisher site] Review copy and cover image courtesy of the publisher. My book talk: A baby, a monster older than the world, and a mysterious inspector – Jin and Frankie need the last one to help them rescue the first one from the middle one, before Zilombo eats him! No one would expect that dusty old ball of mud contained an African monster which would gladly eat anything, especially when the mudball had been high on a shelf in a small British house for 20 years. How the dried dirt became mud again, hatched out its oversize feet and huge-clawed hands, escaped from its exile just before the Inspector of Ancient Artifacts arrived on her annual inspection… Jin knows, and Mizz Z the inspector knows that his baby brother is in great danger if this Zilombo monster isn’t caught – soon! After such a long imprisonment, ancient Zilombo needs food and a hiding place, so she runs toward the scent of water, finding a secret spot near the river and sniffing for the delicious scent of that Smiler baby – oh, how she will enjoy eating it! Jin and Mizz Z are on Zilombo’s trail, recruiting big sister Frankie along the way, but they may be too late, as baby Smiler chooses this night to take his first steps at Grandma and Grandad Tang’s riverside house. Why does Mizz Z know so much about this ancient monster? What new powers does Zilombo have in her newest form? Can Jin and Frankie really save their baby brother? A Girl Called Problem, by Katie Quirk (book review) – move our village, change our luck? School for all the children!! Leaving behind our memories and starting from scratch? In 1967, Tanzania was still “becoming” a single country after the merger of Tanganyika and Zanzibar following their recent independence from European powers. President Nyerere asked all his people and tribes to work together as one. Sometimes this meant moving from small poor villages into larger villages to have schools and medical care. Ask for this April 2013 paperback at your local library or favorite independent bookstore, and travel in its pages to discover how Shida and her family cope with big changes in those early years of Tanzania. When has moving to a new place helped you grow? Book info: A Girl Called Problem / Katie Quirk. Eerdmans, 2013. [author site] [publisher site] Review copy and cover image courtesy of the publisher. 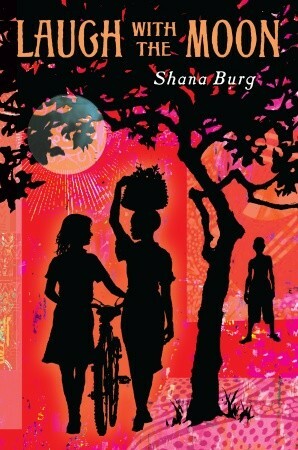 My book talk: A new start sounds good to Shida, as Tanzania becomes a unified country in 1967, but can the 13 year old and the other villagers truly find a better life in their new town? So many problems in her life – mama depressed and thought to be a witch, a curse tied to their family, even Shida’s name means ‘problem’ in Swahili, her only gift from her late father’s family. She learns about healing herbs from the village grandmothers and helps families with small illnesses – why can’t the village elders see that she should become a true healer, instead of just planning to be married? To become a strong new African nation, the people need schools and health care, so the president asks those in small villages to move and form towns. Move from Litongo? Each family will have a new hut with tin roof and a plot for growing food. All the children will go to school, even the girls! The president’s promises are true – new huts, plots of land, a school, and a clinic! But some already living in Njia Panda don’t want more people in their town, and many traditional men think that girls shouldn’t be in school, including their teacher! Odd things begin to happen in the Litongo part of town – cattle wander from the thornbush corral, clothing goes missing (Mama Shida is sure it’s another curse). Can Shida and her cousins convince their teacher that girls belong at school? Can Shida care for her mama and have time to work with the clinic nurse, too? Can she solve the mysterious things happening to her neighbors? Roosters wandering through the school. Sharing one pencil between ten students. Daily anti-malaria pills too pricy for most families. On this World Wednesday, United Nations Day, travel us to Malawi, as a grieving American teen and her dad try to help others, despite their own pain. Clare does indeed feel like “a marshmallow that fell into a bag of dark chocolate” (p. 5) as she arrives with her doctor-dad in the “warm heart of Africa” which has the fewest doctors per capita of any country in the world. Missing her late mother, her friends, the conveniences of modern life, Clare learns to ignore enormous centipedes, to find alternative ways to get around shortages, and to appreciate her newfound friends, especially Memory, who has lost both her mother and her father. This summer 2012 new book takes you to a far-off land with just a short trip to your local library or independent bookstore. Could you Laugh With the Moon, instead of crying alone, if you were in Clare’s place? Book info: Laugh With the Moon / Shana Burg. Delacorte Press, 2012, paperback 2013. [author’s website] [publisher site] [book trailer] Review copy and cover image courtesy of the publisher. 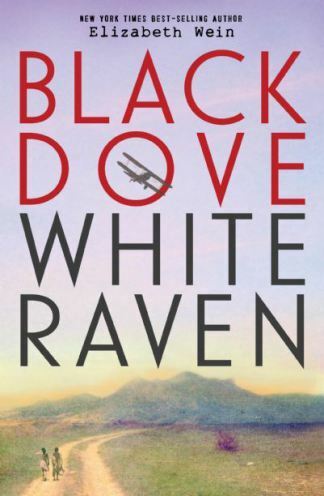 My Book Talk: Malawi is not Massachusetts – Clare can’t believe that her father has uprooted her from junior high school to come to Africa for a season. After her mother died, they were both so sad for so long… he thinks the change of scenery will do them good, but Clare isn’t sure she can adjust to any more changes! Soon Clare becomes accustomed to helping pack up her classroom’s books to take to the school’s only lockable room, to placing cans beneath its worst leaks during the rains, to understanding almost enough about her classmates to keep from embarrassing herself too much. Her sketchbook fills with drawings of her friends who have chosen English names like Innocent and Memory, of jungle animals, and of Fred the hen who arrived as a mystery gift on their doorstep. She finally can see her mother’s face and hear her voice in her dreams. And her father the doctor tries to help all the children who flood into the free hospital, day and night. An emergency during an outing to Lake Malombe leaves the school friends stranded, with time running out. How can they get everyone to safety? Why can’t an ambulance get there? Why is everything so difficult in Malawi? How will Clare ever feel whole in her heart without her mother’s gentle love?